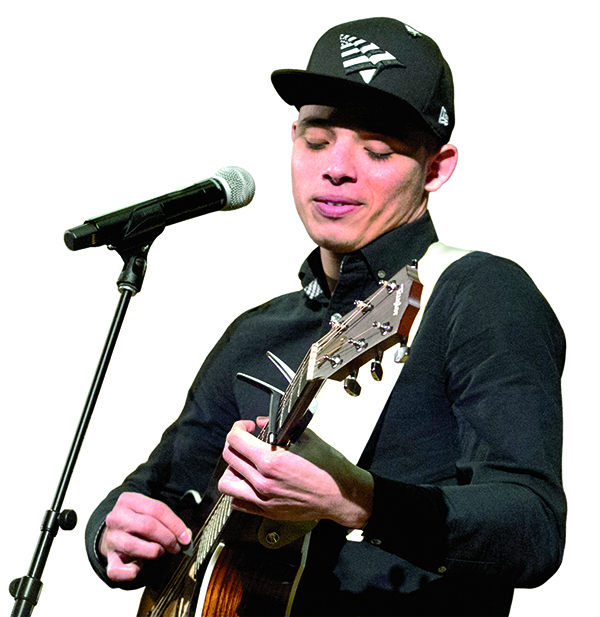 When Broadway actor Anthony Ramos pointed his microphone at the crowd, the Northwestern audience didn’t hesitate to respond. “Alexander Hamilton,” hundreds of voices roared back in a hip-hop rhythm. An original cast member in the acclaimed Broadway hit Hamilton: An American Musical, Ramos visited Lutkin Hall on Feb. 3 to perform and share his thoughts about the show’s relevance to today’s America. “That made me think: ‘What am I doing to lead?’” Ramos said. For the roughly 200 students enrolled in two Hamilton-focused Weinberg College courses this winter, Ramos’ visit was a highlight of the quarter. One class, “Hamilton’s America,” examined Alexander Hamilton the founding father as well as the eponymous Broadway sensation. History professors Geraldo Cadava and Caitlin Fitz designed the course to help students appreciate the ways that history shapes and then reshapes the world. Fitz, who focuses on early American history, covered Hamilton’s life and politics along with Revolutionary-era notions of honor and masculinity, marriage and infidelity, and freedom and slavery. Cadava, a Latino historian, explored the contemporary resonance of the musical, whose cast is dominated by people of color. The legal studies course brought in an array of faculty from African American studies, political science, English and history to show how different scholarly disciplines approach Hamilton the musical, Hamilton the man and America’s founding principles. The highlight of the course? A live performance of the musical in downtown Chicago on Jan. 12.